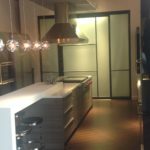 Portella Steel Doors and Windows recently partnered with Sub-Zero & Wolf on a contemporary kitchen showcased at the new Dallas Kitchen Design Studio. 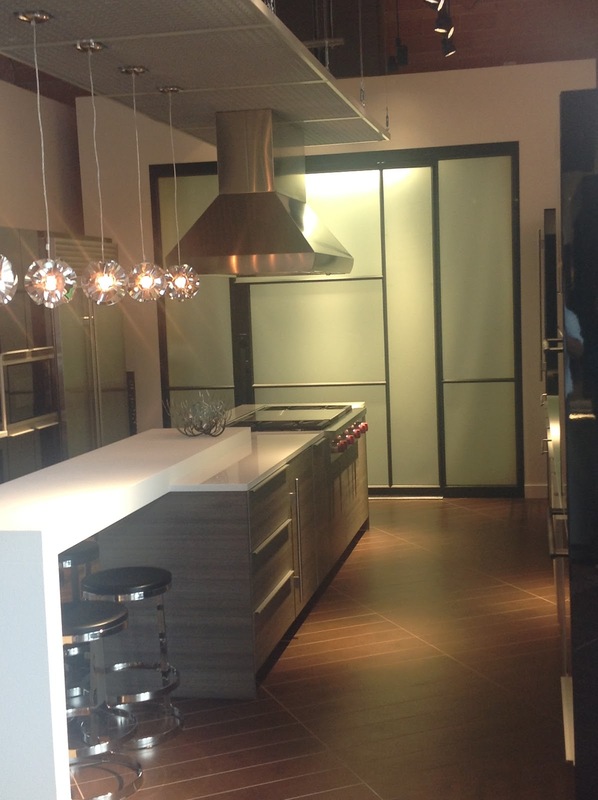 Portella is featured as the back wall of this beautiful contemporary Poggenpohl kitchen. 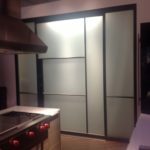 The architect specified a narrow sight line steel pivot door with two equal sidelites on each side. The unit is finished in charcoal black. Portella handle M30 finished in charcoal black was designed to be proportionate with the door. 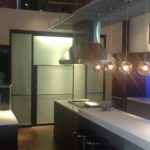 Innovative kitchen ideas and inspiration awaits you at the Poggenpohls design kitchen located at the new Subzero Wolf Dallas kitchen Design Studio. 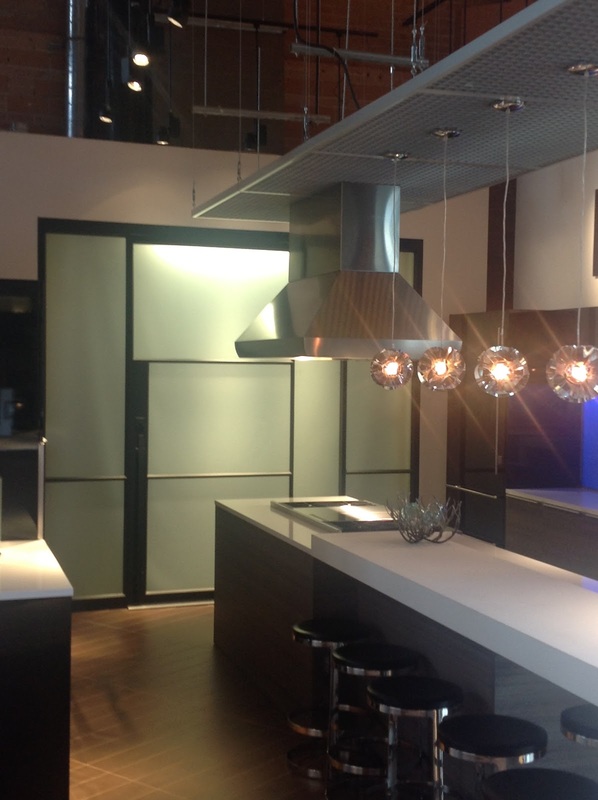 Open to the public as well as the architectural and interior design community. 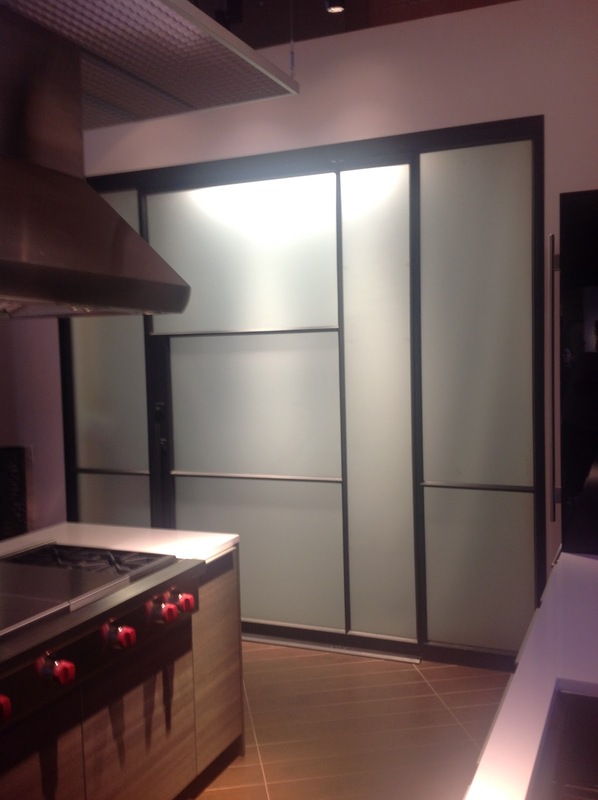 Portella Steel Pivot Door with 2 Equal Sidelites. Obscure Glass. Charcoal Black finish.